I have been using the Panasonic Lumix DMC-FX9 digital camera for quite sometime now - a birthday gift from my wife. It's light, easy to use and the results are great. However, after seeing the results of pictures taken by some of my friends with their digital SLR cameras, somehow I am not happy with . Maybe it's time to move on to the next level and get myself a goog digital SLR. Camera.co.uk and Digital Photography Review are two great sites I usually refer to. 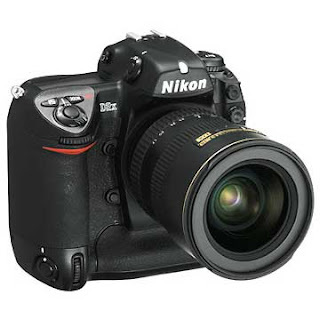 This is the Nikon D2X (12.4 Megapixels). Most of the reviews I have read so far say only god things about this camera. It won the best product accolades for 2005-2006 from the European Imaging and Sound Awards and was also named European Professional Camera of the Year. There's only one thing stopping me form buying it - the price. It is rather on the expensive side and I may have to consider one of the cheaper entry level cameras. Any suggestions?